All payments are processed off our site via Pay Pal utilizing their secure on line payment system. We do not store or have access to your personal credit or debit card information. You do not need to have a Pay Pal account to use this method of payment, just select the card payment option without registering fo a PayPal account. 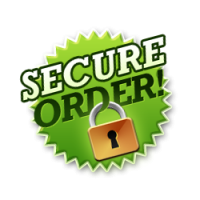 If you have an existing account then you will already be aware of the high protection to your on line purchase. At checkout please note that you should use the review order to proceed to the payment gateway, PRESS the button which is located at the bottom of the current page you are viewing. Shipping rates are based on your location and calculated accordingly in increments of 600 grms upwards, this is automatically worked out at checkout. Postage rates are now very expensive in the UK and Worldwide, as are courier charges. Hence delivery costs are not controlled by StrictlyWhips . If you order more than one item the postage increases not only because the package is heavier but also the actual size of the parcel increases this then causes the delivery service to invoke a charge called volumetric weight. Another factor to be considered is if we include more than one item in the parcel the content value increases so we have to pay more for the insurance and the need for a signature and tracking information. High price items are sent Special Delivery signed for, UK only,otherwise we choose the most effective method of getting the parcel to you,this could be Air Sure or air Mail or DHL UPS or other courier. U.K delivery starts at £3.80 Signed services include Royal Mail recorded or other signed for courier services. Canes and Convent school tawses are sent by our courier service Hermes couriers in the UK. Rest of the world starts at £9.90 Air Mail Delivery,small parcel/packet Tracked or Signed for. 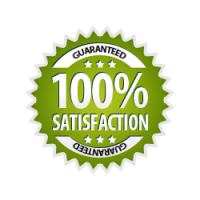 All your purchases are discretely and securely packaged with no mention of supplier other than a none descript return address, in case of none deivery on the exterior at the rear of the parcel. Any special delivery instructions can be entered during the checkout process. Our Customer sevices number in the UK is 07388407156. Your Debit /Credit card statement will show payment made to "gaserv" a discrete name for your privacy. If you are unsure or would like further information please do not hesitate to contact us by email, Please note when you place an order you argreeing to our conditions. We DO NOT pass on any contact details to anyone nor do we send "spam" to your email address.